Federal government raids, outlaws and renegades, entrepreneurs and established big business, mom and pop markets, loyalty to community -The contemporary Wild West Gold Rush is green. Kathleen Tracy tells us, “There is no proof anywhere that cannabis is more problematic than alcohol and it’s probably less and yet it remains up there with heroin and other controlled substances and no one can give a good reason why.” However, alcohol is an established acceptable commodity and cannabis is illegal. Prohibition didn’t keep people from drinking alcohol and the war on drugs hasn’t diminished drug use. Misinformation and misunderstandings regarding the values and benefits of cannabis and hemp abound. The plant’s abundant utilities go unsung as: an alternative biofuel; cheap, biodegradable plastic; stimulator of manufacturing and agricultural jobs; quality of life enhancer, including effective pain management, sleep inducer, eating motivator, to improve functioning for those suffering with disease, injury and chronic anxiety. Is it a gateway drug? If you smoke it will you end up on skid row with a needle hanging out of your arm? And is hemp a gateway crop? Is it really a slippery slope or are there market interests other than public health at play to keep the crop at bay? Do the current industrialists want to keep control of their markets regardless of the potential benefits to society? 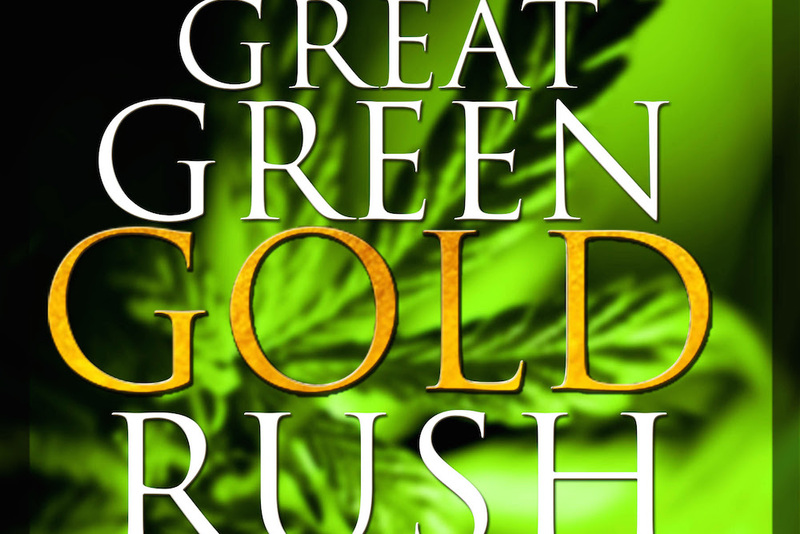 Kathleen Tracy and Michael Caldwell are the authors of the enlightening and thought provoking new book, “The Great Green Gold Rush.” Here, Ms. Tracy discusses the players, the industries, entrepreneurs and the rapidly changing game of legalizing marijuana, and societal acceptance of cannabis in all of its glory. How close are we to the tipping point of normalizing this economically and environmentally valuable crop? And what will be the affects upon cottage industries, big pharma and the housing and agricultural markets of those regions who choose to fully embrace the crop’s potential? PreviousPrevious post:Who's Afraid of President Trump? NextNext post:What Can One Soul Do to Change American Politics for the Better?